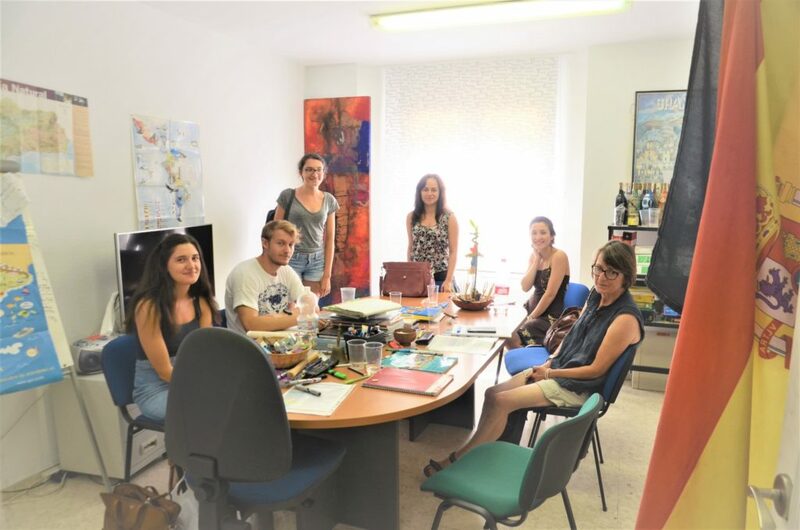 The Intensive Spanish Course 20+5 consists of 20 classes in group as the Standard Course and includes 5 private classes of 45 minutes per day, from Monday to Friday. With this course the student has 1 personalized class each day of which the content will depend on their needs and interest. The first part of the course is focused on 2 classes of grammar and vocabulary, followed by 2 classes of conversation and practice, where the student has the possibility to practice what has been learned. The private class is taught at the end of the course or before it starts. The schedule of the private class is therefore set according to the availability of the teacher in programming with the rest of courses. Our intensive Spanish course 20+5 is therefore designed to combine a level of Spanish course in group with the additional contracting of one of our specific courses such as Digital marketing, social networks, and E-commerce in Spanish, Spanish for tourism professionals, commercial and economic Spanish, business and financial management course, legal-administrative and protocol Spanish, university technical language of sciences / words for the development of comprehensive skills and oral / written expression, radio journalistic language / written press and Spanish for airlines employees (maritime and air navigation language). It is also perfect for preparation for the DELE exam (Diploma of Spanish as a Foreign Language) or DIE (International Diploma of Spanish course, Spanish). The group size is from 3 to 8 students. The average is usually 4-5 students. Each class in group lasts 50 minutes. If there are less than 3 students per group, the time of the course is reduced to 45 min per class. The private class lasts 45 minutes and is individual. The minimum duration of the course is one week. The minimum age to participate in the course is 16 years old.